Calculate size of each part of DOL motor starter for the system voltage 415V, 5HP three phase house hold application induction motor, code A, motor efficiency 80%, motor RPM 750, power factor 0.8 and overload relay of starter is put before motor. Motor Rated Torque (Full Load Torque) = 5252x5x750 = 35 lb-ft. If Motor Capacity is less than 30 KW than Motor Starting Torque is 3xMotor Full Load Current or 2X Motor Full Load Current. Motor Starting Torque = 3xMotor Full Load Current. Motor Starting Torque = 3×47 = 142Nm. Maximum Locked Rotor Current = 1000x5x3.14/1.732×415 = 22 Amp. Motor Full Load Current (Line) = (5×0.746)x1000/1.732×415 = 6 Amp. Motor Starting Current = 6 to 7xFull Load Current. Maximum Size of Time Delay Fuse = 300% x Full Load Line Current. Maximum Size of Time Delay Fuse = 300%x6 = 19 Amp. Maximum Size of Non Time Delay Fuse = 1.75% x Full Load Line Current. Maximum Size of Non Time Delay Fuse = 1.75%6 = 11 Amp. Maximum Size of Instantaneous Trip Circuit Breaker = 800% x Full Load Line Current. 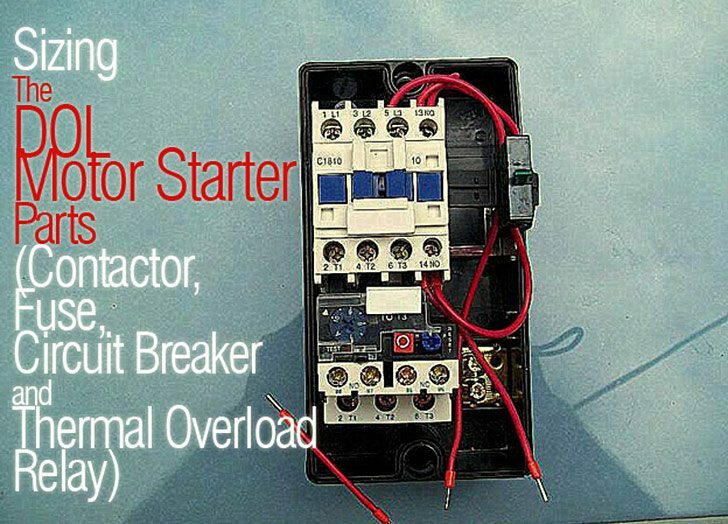 Maximum Size of Instantaneous Trip Circuit Breaker = 800%x6 = 52 Amp. Maximum Size of Inverse Trip Circuit Breaker = 250% x Full Load Line Current. Maximum Size of Inverse Trip Circuit Breaker = 250%x6 = 16 Amp. Thermal Overload Relay setting = 100% x Full Load Current (Line). Size of Main Contactor = 100%X Full Load Current (Line). Size of Main Contactor = 100%x6 = 6 Amp. Making/Breaking Capacity of Contactor = Value above Chart x Full Load Current (Line). Making/Breaking Capacity of Contactor = 8×6 = 52 Amp. Can you please explain . How Motor rated torque value is 35 lb-ft???? How it’s 5252*5*750=35 lb-ft it’s coming 19,695,000 please clarify.. Maximum Locked Rotor Current = 22 Amp? i think there is something wrong on the value of F max., it should be 5.59 not 2.59 under locked rotor current. I have an EC-DC motor of 0.4 KW. I want to command the motor from a PLC output 24 AC and i want to control the speed of the motor with 0-10 vdc. Could you please guide me for selection of control relay for starting the motor. The motor data is 230 VAC 50Hz single phase. Also can i use control relay for commanding the motor On and Off. The page before was better because it allowed copying or downloading what I published in PDF now and only lets print it bad that bad serivicio. I was better before. Just drop an URL od article and everything is the very same. Try it. Or you can install PDF printer on your Windows/Linux/OSX and print by choosing it. It’s simple. Where can I find the required magnetic contactor size for a motor given the motor current or HP? We are going to manu.. 2HP single phase monoset pump for agriculture purpose.240V & max curretnt 11.5A. difficulty is i am not getting that how much degree of thermal fuse we can use? I have a two speed motor having twelve(12) input terminals.when we provide supply on twelve terminals what happend??????? I have completed bachelor’s degree in Electrical & Electronics engineering branch in 2014 . 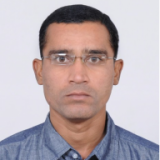 I have 6months experience in designing electrical panels ( APFC, MCC & PCC panels)& switchgears and software skills in electrical autocad. Why it will not blow? How will you calculate the contactor, circuit breaker, thermal overload and size of power cable and control cable for DOL starter when u are give a 3KW induction motor. Thank u.
what are the basis for above calculations? What is the basis of above calculation…. Provide International Standard for Calculation…. 5252x5x750 = 35 lb-ft. ???? 9500x(5×0.746)x750 = 47 Nm ??????? From where you got multiplying factor, Is there any std/ ref in IS, IEC.etc. Why the power factor is not included in the calculation although it has been give in the details?